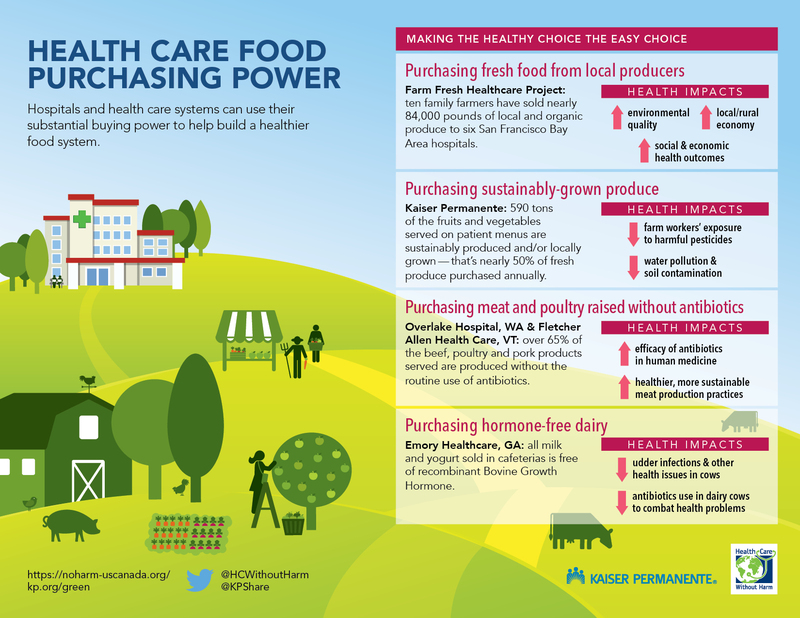 Kaiser Permanente and Health Care Without Harm have teamed up to produce a series of infographics that show how the health sector can transform the food system towards greater health and sustainability. 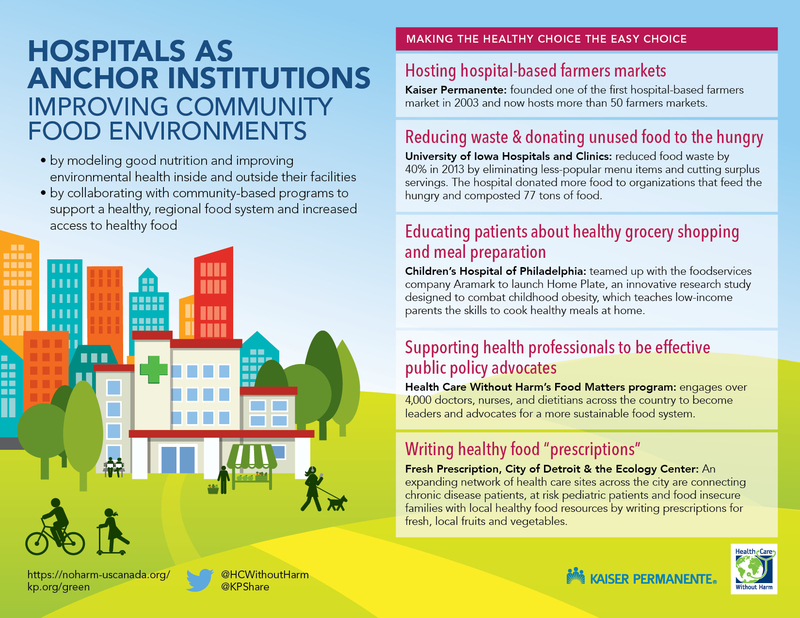 They focus on three key areas: health care food purchasing power, healthier hospital food service, and hospitals as anchor institutions. 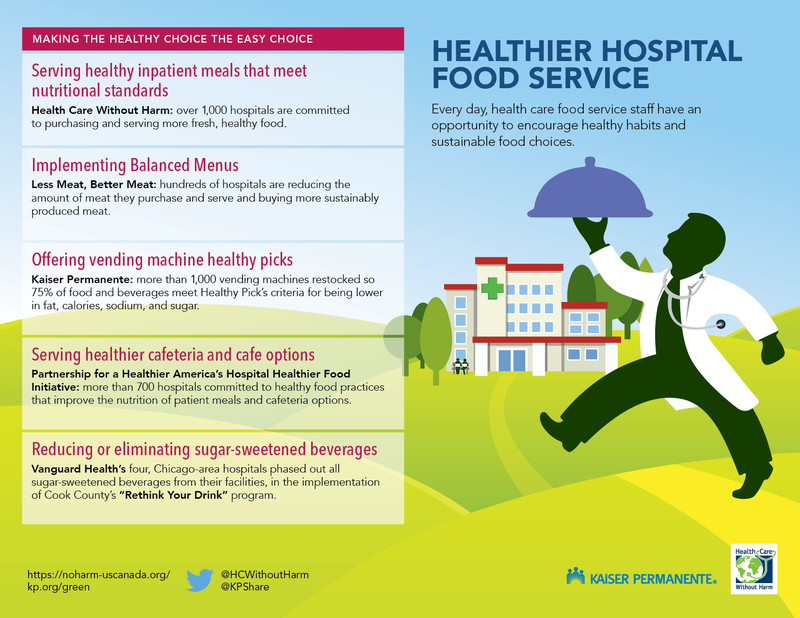 We hope these resources will help hospitals and health professionals understand the impact that the sector can have on building a healthier food system and provide some exciting ideas for hospitals to try in their own facilities. We encourage you to download and share the infographics to support these practices in your own facility.